Spit spot - we're here!! Love all the spooky lights in the park! 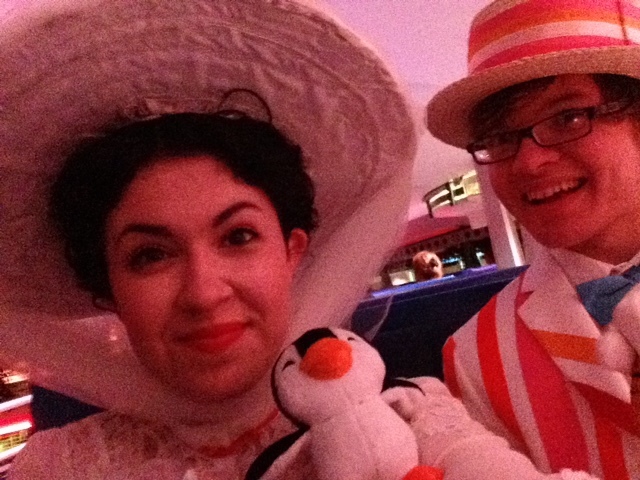 Always bring your penguin on the TTA. 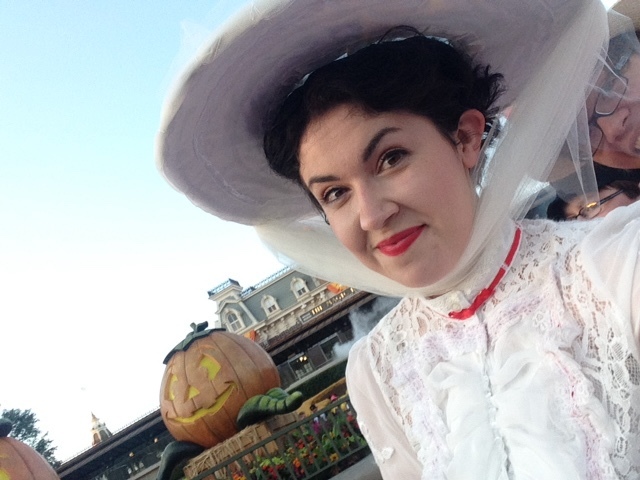 Mary with the Haunted Mansion spooks! They asked if I could say supercalifragilisticexpialidocious backwards which is, of course, dociousaliexpisiticfragicalirupus...but that's taking it a bit too far, don't you think? ...than them what sings chim chim cheeree chim cheroo! 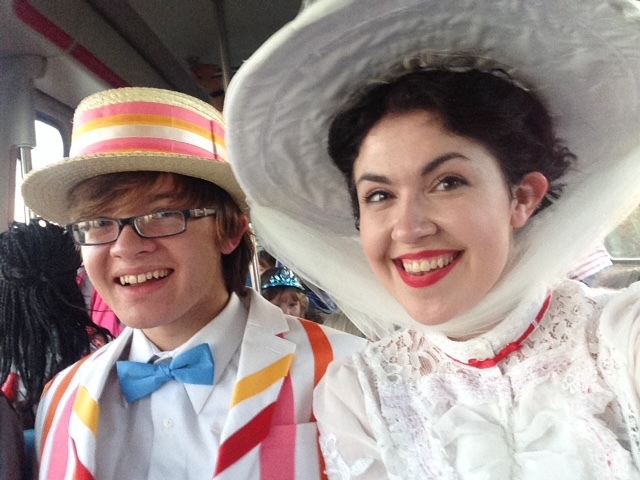 More photos and MNSSHP with Mary Poppins to come! 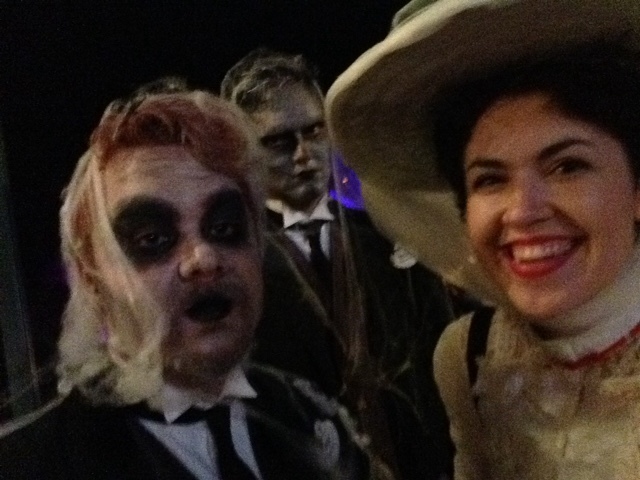 Check out last year's Not-So-Scary with the Trolley People. 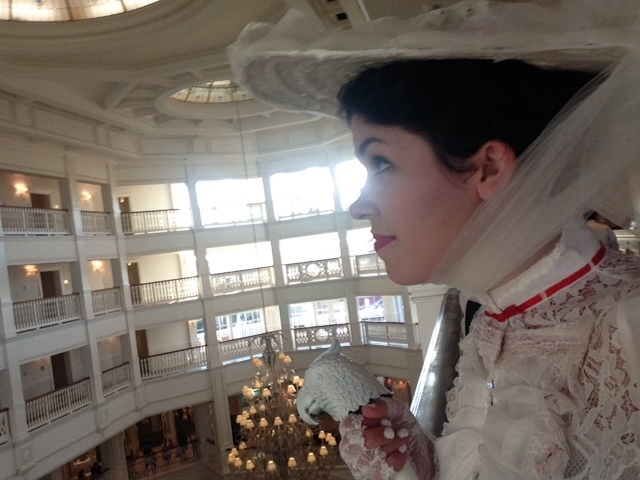 You look practically perfect in every way! Hi Emma, my girls and I love your fashionable, literary, fun style. 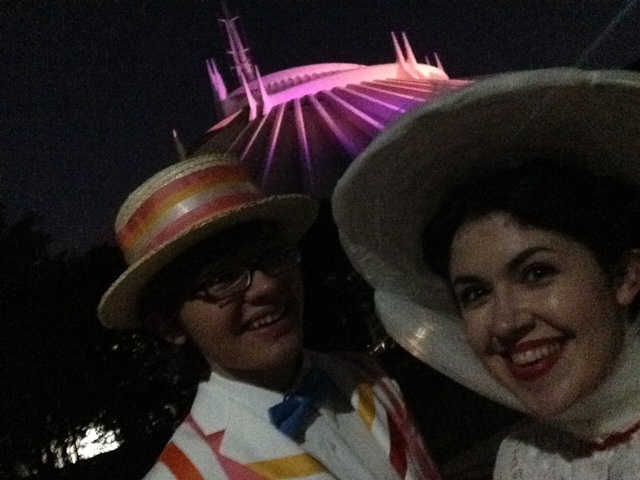 We are at WDW now and trying to find as many of your cupcake recomendations as we can! We've enjoyed the Tree of Life and Simba cupcakes at AK and the Peanut Butter Chocolate at the Studios. 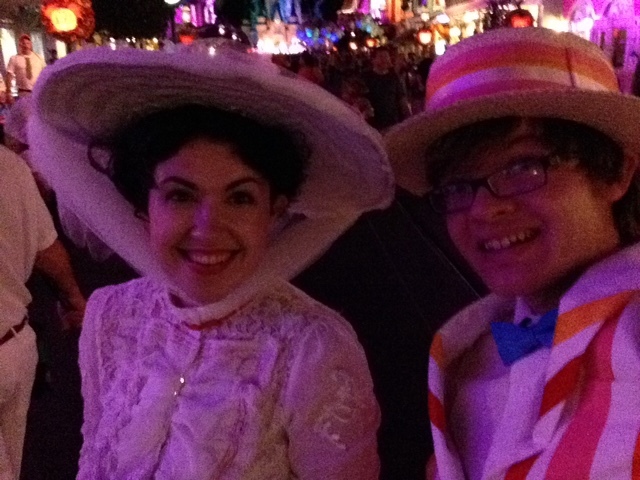 Skipped cupcakes at MNSSHP last night in favor of candy and walk-on rides. Today is Disney Springs where we plan to try the brownie sandwich at EOS. Did you find anything new or fantastic at EPCOT on your trip? If you saw something but didn't get to try it, we will gladly be your field research crew! Thanks for creating such a fun blog! Hi Stephanie! Your comment made my night. :) You are too sweet, and you and your girls sound like so much fun! Hmmm...I didn't get a chance to stop in the Seasons in the Land to see if they have any new cupcakes (they always have a tasty dessert case!). ;) The Food & Wine stuff is also very nice at Epcot - the waffles at Belgium and the apple strudel from Germany - we very much enjoyed the frozen scores and cream soda float and strawberry champagne flute at the Desserts and Champagne booth. Hope your trip is wonderful!